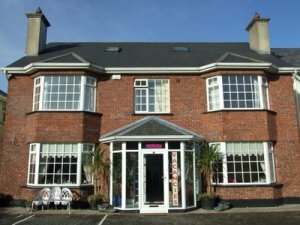 Aaron House is a family run Bed and Breakfast situated at College Road near Eyre Square. We offer welcoming, clean and affordable accommodation for visitors to this vibrant city of Galway. Every effort is made to ensure that your stay is pleasant and comfortable. Our friendly staff are always available to provide you with any information that you may need. All rooms are ensuite with cable tv and coffee making facilities. Each of the bedrooms are equipped with an en-suite bathroom and cable television. The rooms are clean and modern and our beds extremely comfortable! Free WiFi is available throughout the building and a public payphone is accessible in the hallway. A full Irish Breakfast is served each from 8 to 10 each morning in our dining room. For guests who prefer to not eat meat, or have other dietary lifestyles, we will do everything possible to accommodate you! Galway is renowned for its vibrant nightlife, bars and restaurants like Coyotes! The city of Galway lies on the Atlantic Ocean and is the tourist capital od the West of Ireland. The beaches in Galway are wonderful at any time of year. What makes Galway City special is the choice of day trips just a stone's throw from the city, from a tour of Connemara, to a day trip in the Aran Islands, to a visit to the Burren of Cliffs of Moher in the neighbouring county of Clare. Aaron House is located at 25 College Road, Galway, Republic of Ireland. The house is just a two minute walk away from the famous bars and restaurants of the Eyre Square area of Galway.